Verneri Pohjola (b. 1977) comes from one of Finland´s most renowned musical families. After having studied trumpet both privately and at the Pop and Jazz Conservatory in Helsinki, Finland, and at the Örebro Music School in Sweden, Pohjola was admitted in 1999 to the Jazz Department of the Sibelius Academy, Finland´s only university level music academy. At the Sibelius Academy, his teachers have included some of Finland´s leading jazz musicians as well as visiting clinicians from the United States and other countries. 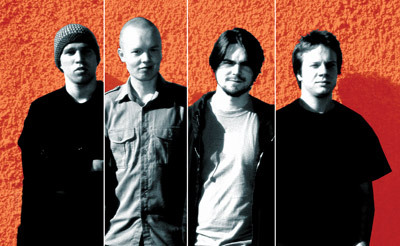 In addition to Ilmiliekki Quartet, Pohjola is currently active in a number of other groups, including Quintessence, a popular nu-soul ensemble that issued its first album in 2002 (Talk Less, Listen More; Texicalli); Q-Continuum, an offshoot of Quintessence; Suhkan Uhka, the 12-member ensemble featured on "Suhka" (TUM CD 001); and groups led by pianist Seppo Kantonen, bassists Pekka Pohjola and Ulf Krokfors, drummer Mika Kallio, vocalist Jenny Robson and many others. 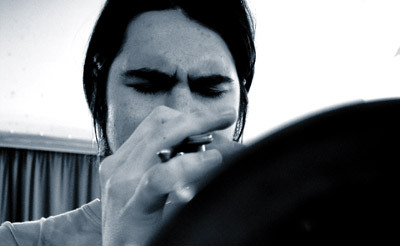 In addition to the trumpet, Pohjola plays drums in the post-rock group Silvio. Tuomo Prättälä (b. 1979) is a versatile musician who is comfortable with many genres within popular music and performs both as a pianist and as a vocalist. 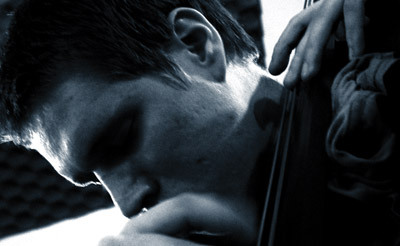 Prättälä is currently a student at the Pop and Jazz Conservatory in Helsinki. In addition to Ilmiliekki Quartet, Prättälä performs with Quintessence, Q-Continuum, Bonksters and MP4, which are all popular Helsinki-based groups comprised of contemporaries of the members of Ilmiliekki Quartet. In addition, Prättälä often performs latin music and works as a free lance musician. Antti Lötjönen (b. 1980) first studied music at the Music Conservatory of his hometown Kuopio and was admitted to the Jazz Department of the Sibelius Academy in 2001. Lötjönen is one of the most-in-demand bassists of his generation on the Helsinki scene and regularly performs with a number of other groups in addition to Ilmiliekki Quartet, including the Five Corners Quintet and groups led by pianists Seppo Kantonen and Aki Rissanen, vocalist Eeppi Ursin and various others. Lötjönen also performs with the popular world music ensemble Värttinä. Olavi Louhivuori (b. 1981) graduated from the Jyväskylä Conservatory´s jazz/pop department in 2002 and was admitted to the Jazz Department of the Sibelius Academy that same year. 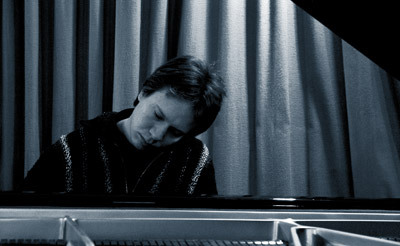 In addition to Ilmiliekki Quartet, Louhivuori regularly performs with the groups led by pianists Joona Toivanen, Joonas Ahonen and Aki Rissanen. He has also performed with the UMO Jazz Orchestra and the groups of such well-established musicians as saxophonists Jukka Perko and Sakari Kukko, pianist Samuli Mikkonen, bassist Teppo Hauta-aho, vocalist M.A. Numminen and many others. Jaska Lukkarinen (b. 1982) has studied at the Pop and Jazz Conservatory in Helsinki and, since 2002, at the Jazz Department of the Sibelius Academy. 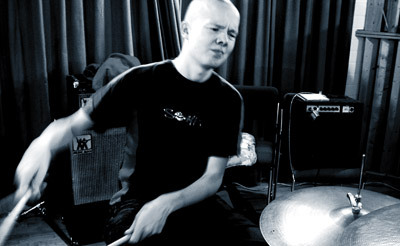 He is a member of Värttinä and has also performed as a drummer and/or percussionist with groups led by saxophonist Eero Koivistoinen, guitarist Jukka Tolonen and many others.